The Aimpoint MPS3 is the third generation of passive electronic reflex collimator sights suitable for medium or heavy support weapons. The Aimpoint MPS3 is the third generation of passive electronic reflex collimator sights suitable for medium or heavy support weapons. The MPS3 was developed primarily for military applications. 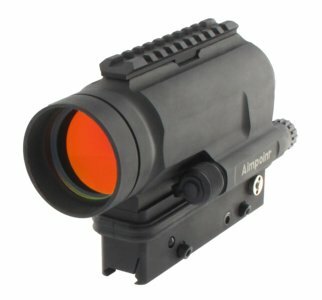 The Aimpoint MPS3 (Multi Purpose Sight) is a passive electronic reflex collimator sight designed for use on medium or heavy weapons. Developed primarily for mounted weapons operations, the MPS3 is ideal for use on land vehicles, helicopters or fast attack boats and ships. Note: Export License/End-user Certificate required for this product. Adjustment: ±1m at 100m in windage and elevation. 1 click = 50 mm at 100m.